Portland, OR - Jan. 19th, 2012 - Widmer Brothers Brewing introduces the next release in its Rotator IPA Series and the brewery's first nationally-released collaboration brew, Spiced IPA. Originating from a recipe created by Paul Sangster and developed with Chris Stawney of San Diego's Quality Ale and Fermentation Fraternity (QUAFF), and award-winning San Diego Homebrew Club, Spiced IPA offers an intriguing twist on the West Coast's favorite beer style. Blending familiar flavors with unexpected ingredients, this hop-forward yet balanced IPA carries notes of black tea and spices that come together, much like the brewers behind it, to create one amazing brew. Spiced IPA is a nationwide release available in limited quantities on draught, six-packs, and 12-packs at selected retailers. "From the very first sip, we were impressed by Spiced IPA," said Joe Casey, Widmer Brothers brewmaster. "In many ways, Paul Sangster's recipe embodies what Widmer Brothers beers are all about: unique interpretations of classic beer styles. This was a fantastic project to be a part of, and we look forward to continuing to brew more collaboration beers with homebrewers in the future." Spiced IPA is the fourth beer of the Rotator IPA Series which features a new, limited-run IPA every few months. "The idea for this beer came from trying to integrate the interesting variety of spice flavors of chai tea with the fruity flavors of a West Coast style IPA," said Sangster. "As Chris and I tested the recipe, we focused on trying to achieve a good balance between the citrusy and pine-like hop aromas and flavors we love in American IPAs with the herbal and spicy tea notes to give a more complex and full palate flavor sensation. We are really pleased with the way it turned out and are thrilled to be brewing it with Widmer Brothers." "We started homebrewing in the early 80's, and have been part of the local homebrew community in Portland ever since. Throughout the years, we've released several collaboration beers locally through our partnership with the Oregon Brew Crew and are excited to release this collaboration beer with QUAFF," said Rob Widmer, co-founder of Widmer Brothers Brewing. "Spiced IPA is a great example of the innovative recipes that homebrewers are out there brewing today. We really enjoyed brewing this beer and hope others will like it, too." In a spirit of collaboration, Widmer Brothers Brewing teamed up with QUAFF to brew Spiced IPA, a beer that offers an intriguing twist on the West Coast's favorite style. The spices used in this beer include Malty Assam Black Tea, Ginger, Cinnamon, Clove, Star Anise, Black Pepper, and Cardamom. 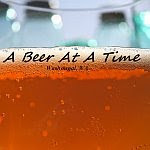 Quality Ale and Fermentation Fraternity (QUAFF) is a group of men and women dedicated to the enjoyment and promotion of homebrewing and beer evaluation in the greater San Diego area. For more information, visit www.quaff.org.